All Prestige Spa Covers are manufactured using specially manufactured vinyl for spa covers and energy efficient polystyrene inserts. 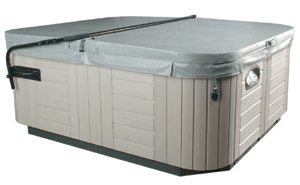 Each insert is heat-sealed with a poly vapor moisture barrier to protect your spa cover against water absorption. 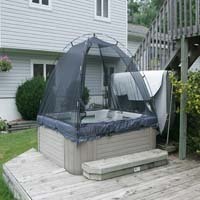 Inhibitors in both the vinyl & thread prevent premature aging of your spa cover, which all add up to a superior product. Many upgrades are available. Recommended for indoor spas only. Recommended for indoor or outdoor spas, or for areas that have extremely cold winters. All of our Prestige Spa Covers are custom, and hand-made to your specifications. 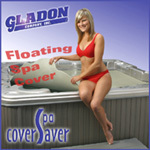 We offer the guaranteed lowest prices on all our Prestige Spa covers! All Prestige Spa Covers are fresh, brand new and made to order. No old, dated or re-stocked Covers that have been laying around for months - like some other companies. Approximately 2-3 week delivery time! Three grades of Covers available to suit all budgets & needs - Classic, Deluxe & Walk-On Covers. Complete Product Videos available showing detailed features of the covers PLUS detailed measuring, delivery and installation instructions (see below). 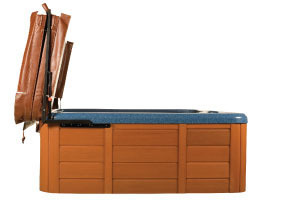 All Prestige Spa Covers have a Pro-rated Warranty for 5 years against water absorption of the foams! All Prestige Spa Covers now include FREE SHIPPING to anywhere in the contiguous USA states. 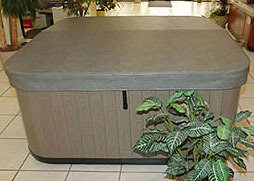 Hot Tub Spa covers can only be shipped inside the 48 contiguous USA states.